Created in Porta Romana’s signature style, the Malleate Coffee Table has a sophisticated elegance that will stand the test of time. 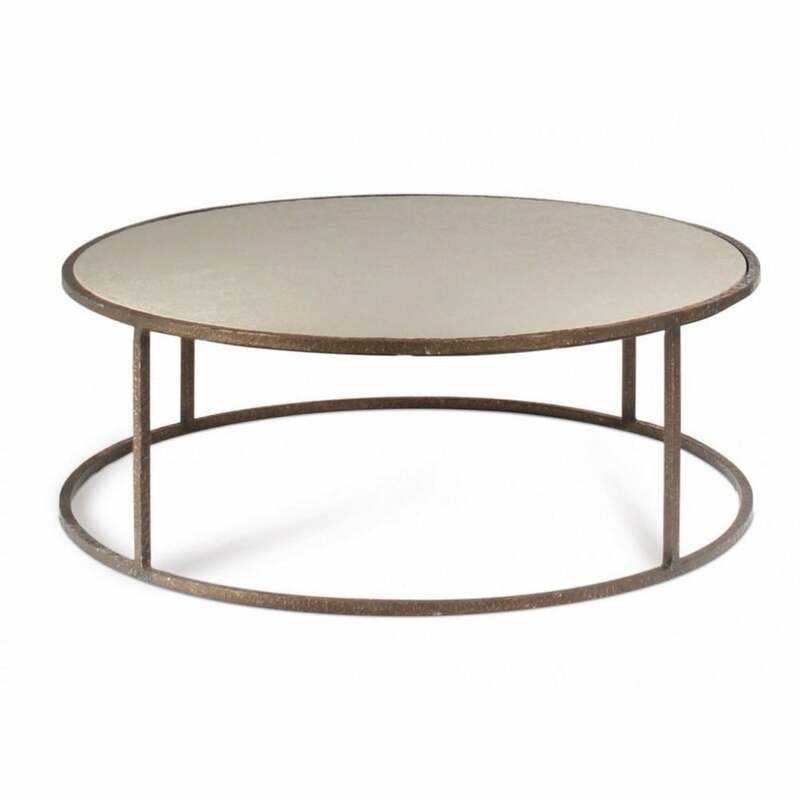 Hand-crafted from forged steel, this generous, circular coffee table is composed of a decorative frame and veneered wood top. Using the same beautiful texture as the Malleate Console Table, it’s cratered hammered profile is complemented by an exquisite faux concrete top. Available in a range of finish options to suit your scheme, choose from Decayed Silver, New Bronze or Decayed Gold. Also available with a clear glass table top, use to display candles, flowers and your favourite coffee table books.